Back in 2010, North Dakota had less residents than at the start of the Great Depression, but not now. Thanks to oil drilling along the Canadian border and an attractive quality of life, North Dakota is growing in population. More people means residential developments and commercial expansion and with that comes the call for additional electricity. Helicopters are the most cost-effective and efficient means for transmission line construction in North Dakota. 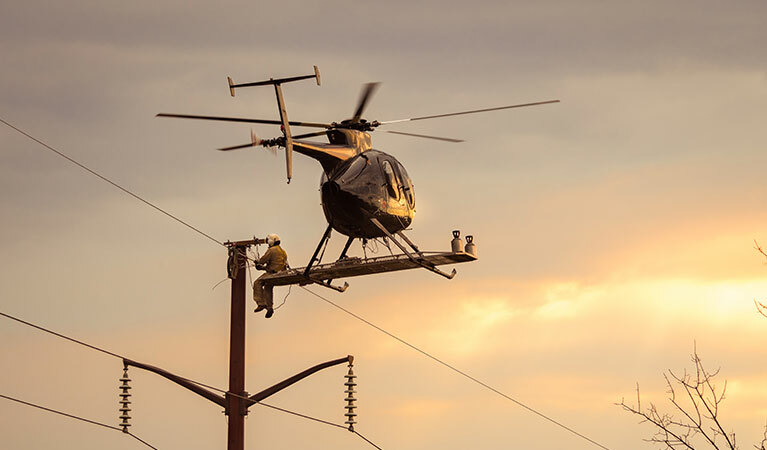 Utility companies, local municipalities and contractors across the nation are tapping helicopters North Dakota transmission line construction, line stringing and more. This precision methods gets what used to take weeks completed in hours. Us News & World Report ranked North Dakota the fourth best state to live behind Iowa, Minnesota and Utah. North Dakota ranked tops in quality of life and second in infrastructure despite its notoriously cold winter temperatures. The Coen Brothers 1996 blockbuster movie “Fargo” and its subsequent series may have put North Dakota on the popularity map. However, the state and its rolling farmlands and wildlife refugees is on the rise for a lot more than a fictional series that was actually inspired by events taking place in neighboring Minnesota. Surprisingly, the state well known for its frigid, harsh winters is actually the leading producer of sunflowers in the US. As more folks head west to North Dakota, utility installations, commercial and residential projects follow, moving into more remote areas of the state that calls the Enchanted Highway home. FairLifts has access to a large and always growing network of helicopter services in North Dakota including pilots and operators specializing in external load and heavy lifts, utility pole installation, wire stringing, aerial trimming and more. We can assist you in securing the aerial services required for your commercial or private project. North Dakota is known for its long and stretching highways as well as its wide open spaces. Heavy lift helicopters can transport large construction equipment, raw materials and more to even the remotest parts in a fraction of the time traditional ground transportation can. Via the use of a specialized stick like object called a needle and the agility of a seasoned utility pilot, a nylon rope can be weaved through transmission towers and can be used in the effective pulling of wire to string utility installations to establish connectivity. At times, helicopters may be used so effectively that hundreds of miles of wire can be strung in a days time. Installing new utility poles or replacing ones damaged from blizzards and traffic accidents is an arduous process using the age-old ground method. Helicopters complete the same task in a fraction of the time it would take a crane. 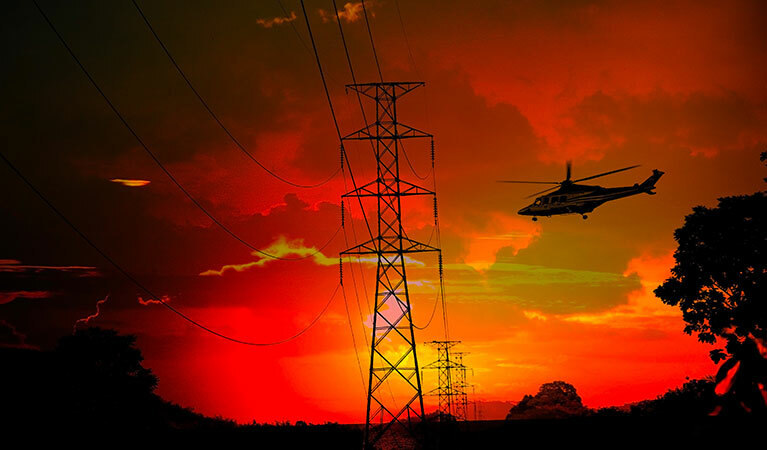 Helicopter transmission line construction is fast becoming the method of choice in North Dakota. Before commercial and private development projects can be done right-of-way and site inspections must be completed. Helicopters can get required pre-construction, drainage connection, paving inspections and more done quickly so work can get started. North Dakota has a strong infrastructure and regular aerial site inspections will help to keep it that way. North Dakota is known for its harsh and frigid winters. Winters out here are lengthy too, making logistical transport via the ground a difficult and time-consuming task. However, when you take to the air to transport crews and equipment to jobs all over the state, you’re not wasting work time with transportation. Helicopters can get people and gear to the most faraway North Dakota locales and even lift the necessary supplies and equipment into place. To secure helicopter lift services for transmission line construction, inspections, receive a free quote or consultation or learn more about the aerial options available, contact FairLifts by telephone or through our online contact form. FairLifts consultants are available 24/7.